Water damage in your home is definitely something you want to take care of quickly. An immediate response can easily save thousands of dollars by preventing permanent damage to wood floors, carpet, tile and walls while prompt action is necessary to guarantee the health and safety of your home and family. But what happens if the water damage in your home does not meet the insurance deductible or isn’t covered by your home insurance policy? I will tell you why calling your insurance carrier to prematurely report a claim may cost you much more in future monthly premiums and damage your “insurance credibility” for up to 7 years. You would think calling your insurance company after your carpet is soaked is the first thing to do, right? I mean, that’s WHY you have insurance in the first place. If you are like millions of homeowners that had a broken water supply line on their washing machines, your claim will likely be approved and the costs covered by your insurance company. But what about the soaked carpet from that open window during the heavy rainstorm? You are obviously still going to call a restoration professional to extract the water to save your carpet and prevent mold damage but calling your insurance company immediately to report a claim might be the wrong thing to do. Many times, this type of damage is not covered by your insurance policy or simply does not meet the deductible. So call your insurance agent and ASK, right? No! Just DISCUSSING your loss with an insurance agent can be considered REPORTING a claim, which will remain on your CLUE report for 7 years and impact the future salability of your home. And once a claim is marked on your CLUE report, your insurance rates will surely increase. Firstly, what is a CLUE report? C.L.U.E. (Comprehensive Loss Underwriting Exchange) is a database of insurance claims information that insurance companies use to underwrite policies. 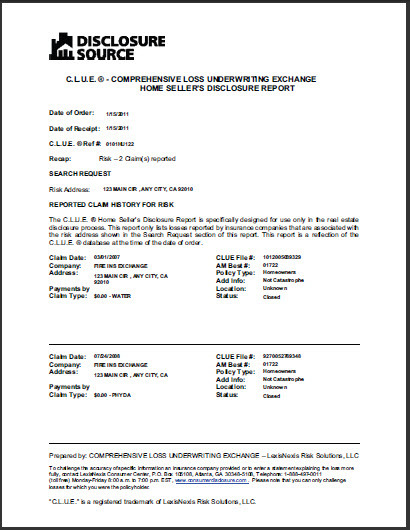 The CLUE report is a history of the property and owner and any insurance claims that have been filed over the last 7 years. 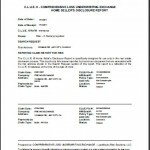 The report includes policy information such as your name, date of birth, policy number and detailed claim information such as the date of the loss, type of loss and amounts that were paid. CLUE is actually the same clearinghouse used to decide your automobile insurance rates. Make sure when you contact your insurance agent you are clear that you are making an inquiry, not a claim. An inquiry is generally regarded as a call by the homeowner to discuss the terms of coverage including the extent of coverage on a specific type of loss. Most insurers are aware of the important distinctions between a claim and an inquiry. Often, an immediate answer can be found from an experienced restoration professional that is skilled in assessing the damage caused by water loss. In many instances, these knowledgeable water restoration technicians will have experience working with insurance adjusters and are familiar with what types of water damage is covered by property insurance. Many professional restoration companies will give you a free estimate if you call them and are helpful with the water mitigation process. Not only can they tell you the cost and extent of the water damage, they more than likely can provide you with vital information that can help you make an informed decision.